Nettles are one of my favorite wild greens, and I’m always happy to learn yet another way to prepare them. I owe my friend and colleague Ellen Zachos big time for the idea of turning them into malfatti. My variation of her recipe found its way into The Forager’s Feast. 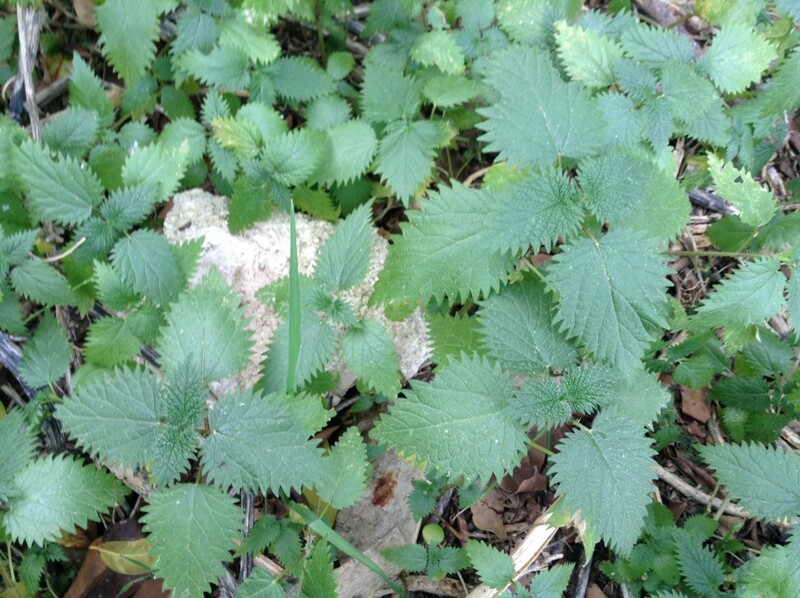 By the way, the infamous sting factor of nettles completely disappears when they are cooked. Malfatti means “poorly made” in Italian. 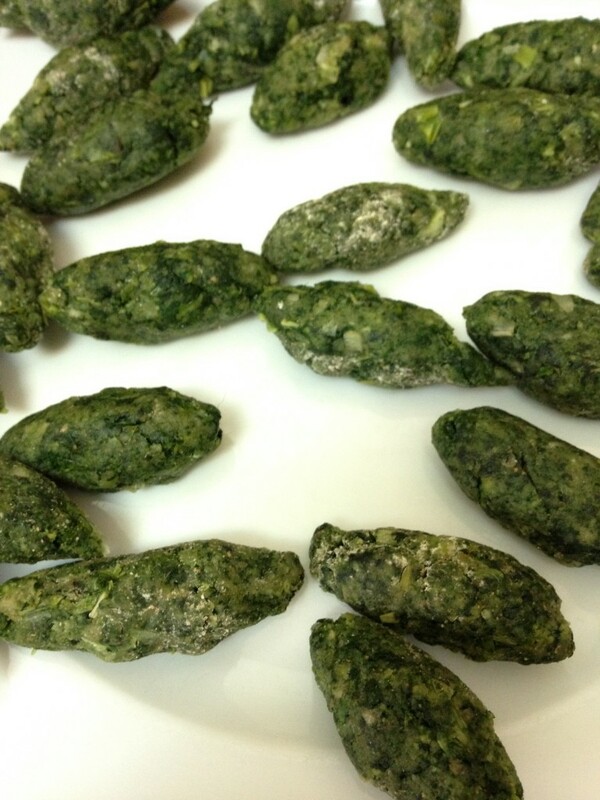 Similar to gnocchi in texture, malfatti were once considered famine food, perhaps because they incorporated weeds from the field (nettles in this case) and stale bread (breadcrumbs). Or perhaps the “poorly made” part has to do with their easy-to-make shape that requires no equipment other than your hands. 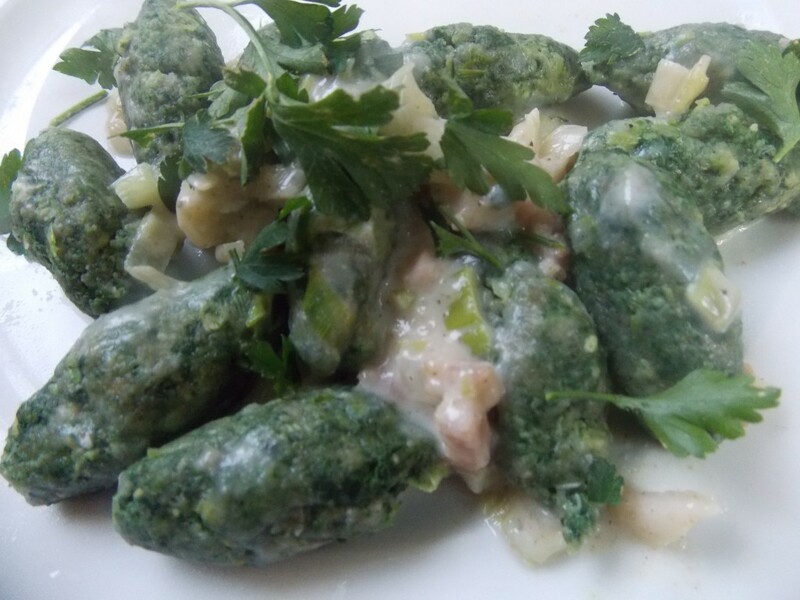 In any case, malfatti are delicious, and more than many other wild greens would, the nettles give this dish a wonderful deep green color and nutrients galore. Serves two to three depending on how big your appetites are. Bring a medium sized pot of water to a boil. Add the nettles and blanch for three minutes. Pour into a colander, then immediately run the nettles (in the colander) under cold water to stop the cooking. Drain again, then squeeze hard to get out as much water as possible (don’t worry, the sting factor has already been neutralized by the blanching). Coarsely chop the wad of blanched, chilled, and squeezed out nettles. Heat the olive oil in the same pot you used to cook your nettles (I’m trying to reduce the number of dishes you need to do later). Over medium heat, cook the onion in the oil, stirring often, for five minutes. Put the onion and the nettles into a food processor with a little salt and pepper. Process until very finely chopped (if you don’t have a food processor, just keep chopping until you have something close to a paste). Put the onion and nettles mixture, along with the eggs, breadcrumbs, cheese, salt and pepper into a large bowl. Mix until thoroughly combined. Cover and refrigerate for six to eight hours. 7. Lightly flour a baking sheet and your hands. Pinch off about a tablespoon of the chilled malfatti dough and roll it into a torpedo-like shape about 1 1/2-inches long and 3/4-inch wide. Place it on the floured baking sheet. Repeat with the rest of the dough. 8. To cook, bring a pot of water to a boil. Pile the malfatti onto a slotted spoon and gently lower them into the water (it may take a few spoonfuls). Boil for four to five minutes, then use the slotted spoon to transfer the malfatti to a plate or large bowl. Gently toss with melted butter or good quality extra virgin olive oil, and top with more grated Parmesan. Serve immediately. This sounds really yummy. I love nettles. Picking not so much so I usually take a bowl out and my shears and just cut the leaves off and let them fall. I can’t wait to try this.